Exhales a breath of Carbon in its vapour state, going at 999 miles/hour. This attack always goes first. 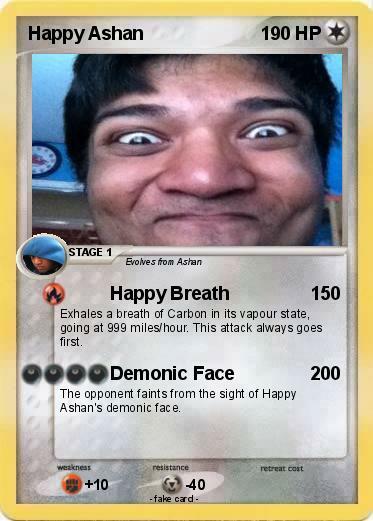 The opponent faints from the sight of Happy Ashan's demonic face.